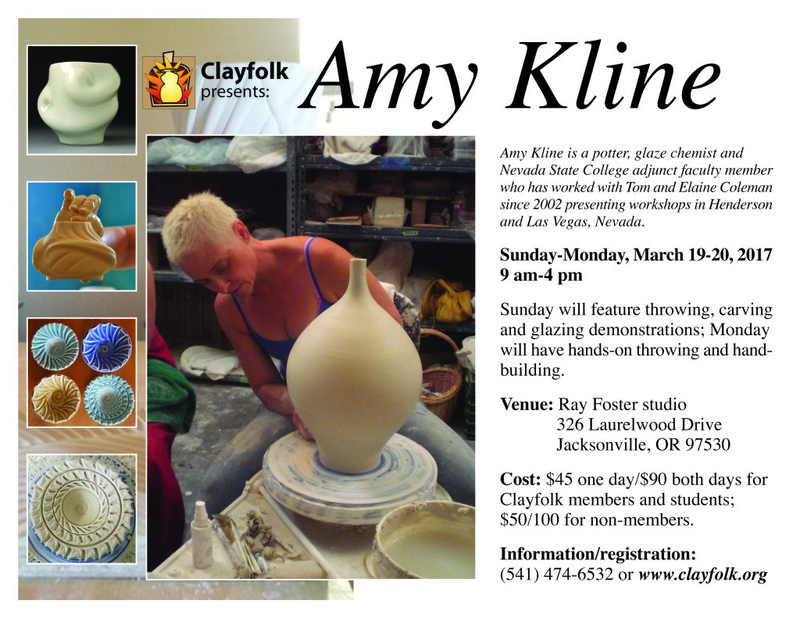 Amy Kline is a potter, glaze chemist and Nevada State College adjunct faculty member who has worked with Tom and Elaine Coleman since 2002 presenting workshops in Henderson and Las Vegas, Nevada. Sunday will feature throwing, carving and glazing demonstrations. Monday will offer hands-on throwing and hand-building. To reserve your space Download the registration form and mail with payment..